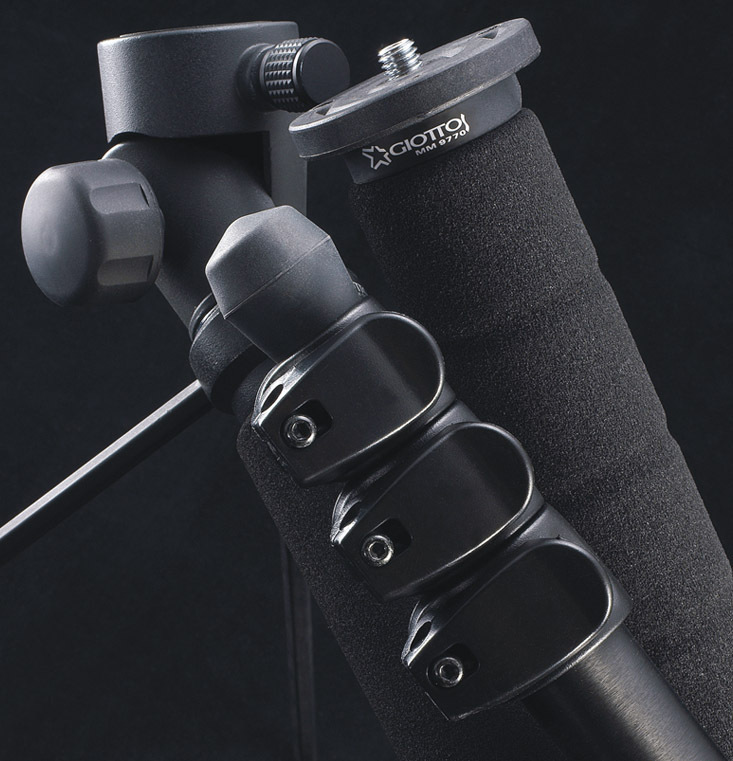 Use allen wrench to screw up to securely lock the head onto the monopod platform in order to ensure a stable and rock solid connection. 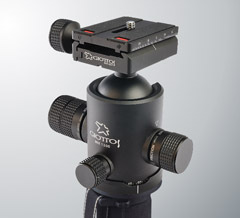 A spring-loaded combination 1/4" and 3/8" camera thread assures easy handling under all conditions. 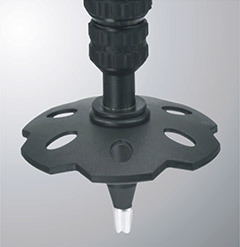 Mount the professional ball head series directly, works easily and smoothly. 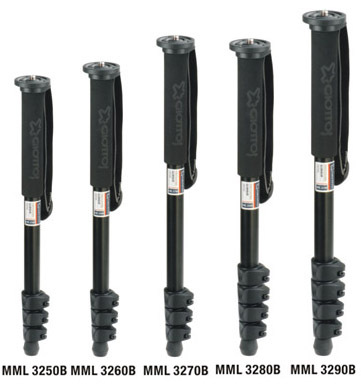 Compatible model numbers are MH 1300, MH 1311, please see details at the ball head series of catalogue. 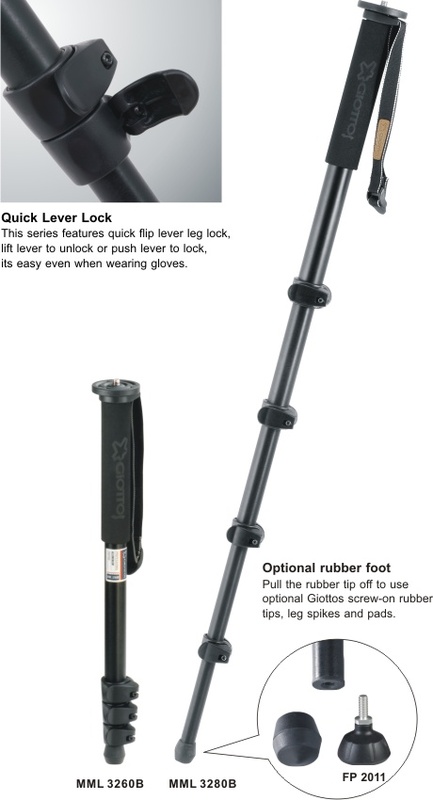 Pull the rubber tip off to use optional Giotto's screw-on Snow Shoe. 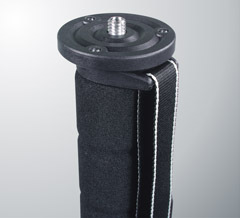 It is stable on snow or sand.